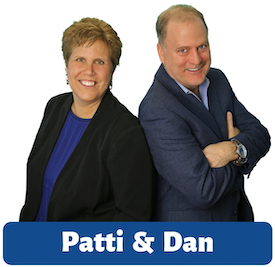 Dan and Patti McCarty have been involved in real estate since 1993. Since that time, every day—and every transaction—has had one common theme: clients first. They would rather lose a deal than accept one that would be bad for their client. They do a massive amount of research, and work effortlessly to handle expectations and coach their clients through the sometimes complex and chaotic world of real estate. When it comes to saving the day, though, they don’t stop there. They are well known animal rescuers, too, with years of dedication to fundraising and events for the no-kill, pet rescue community. In fact, they have three furry rescues of their own named Lonnie and Rue. They love helping people, which is why making you happy makes them happy. 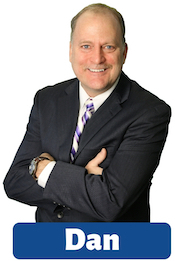 Dan is the self-professed type A personality of the McCarty Team. As a child, ironically, Dan was painfully shy and petrified of dogs! Obviously, he overcame both of these afflictions with flying colors. Today, he is in charge of marketing and advertising, which is also ironic, because Patti is actually the one with the Michigan State marketing degree. Dan is most known for his confident and often entertaining approach, which is a true reflection of his passion for life. He’s even been known to take a seller’s dog for a car ride during a showing! Above all, it’s his complete devotion for Patti that seems to stand out to their clients. Patti is the calm, cool and collected personality of the team. She has extraordinary ‘down to earth’ qualities that make her instantly likable (or as Dan says…nearly perfect). The moment someone meets Patti, they get a sense of her genuine concern. 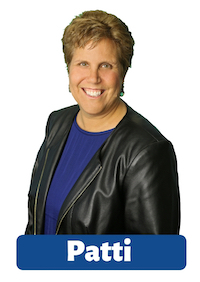 She is known for listening carefully to what her clients want, and creating a strategic plan to make it happen. She believes strongly that the most important step in a successful process is to price the home correctly in the beginning. These are just a few of the reasons she’s consistently in the top 5% of all metro Detroit agents.